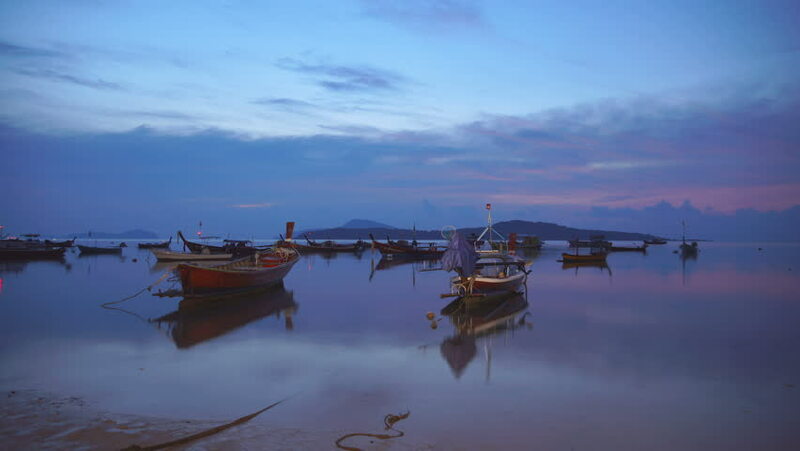 time lapse fishing boats in blue sunrise. blue sky in the morning at Rawai beach. 4k00:12Traditional philippine boat bangka at sunset time. Beautiful sunset with silhouettes of philippine boats in El Nido, Palawan island, Philippines. Orange sky sunset paradise beach. hd00:13RUSSELL, NORTHLAND/NEW ZEALAND - JANUARY 16, 2015: Okiato car ferry leaves Opua jetty in Bay of Islands. The ferry links the route from Paijhia to Russell.